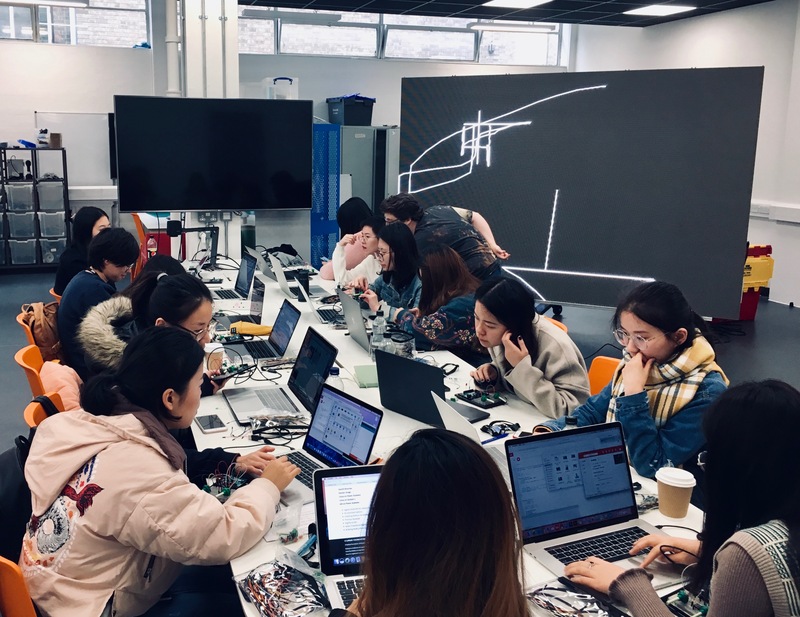 The Creative Technology Lab supports emerging technology projects that involve programming, electronics and the experimental use of AV equipment, through one-to-one support, sign-up workshops and a large store of equipment. 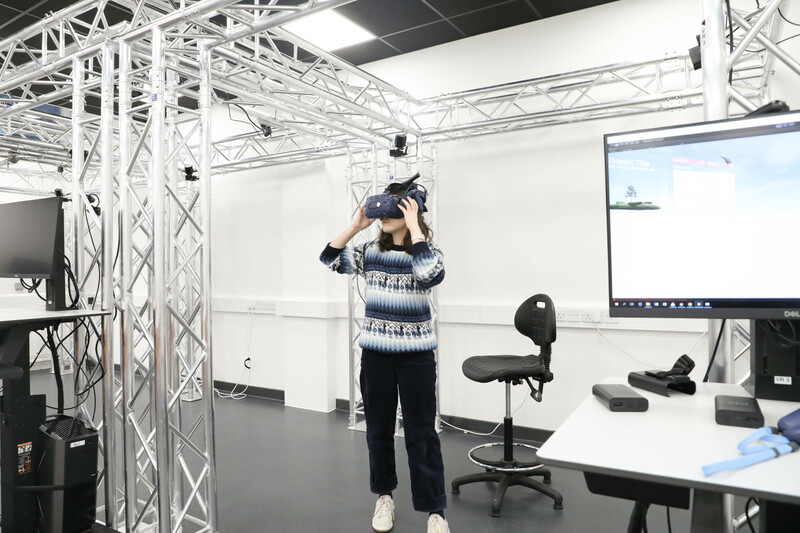 This area is project-led, which means students learn by doing with a team of specialist technicians to support them in each of our specialist areas: Creative Coding, Physical Computing, Projection Mapping, Games, and Virtual Reality. The technical team supports students in breaking down their initial ideas, identifying what skills they need to learn, suggesting how to get started, and then provide support in troubleshooting projects and debugging code. The use of electronics in a creative arts context. Physical computing is a way to create compelling tangible user interfaces, and physically change the world using motors and lights. A variety of tools are used to do this depending on the intended application, such as Arduino, Particle Photon, Raspberry Pi, and BBC Micro:bit. Using software like MadMapper, HeavyM and ofxPiMapper among many others. These tools allow you to warp and mask video content to fit multiple 3D surfaces to give the impression the image is on the surface of the object. Both areas use game engines like Unity and Unreal in their development. This software and programming toolchain allows you to create virtual environments that can be explored using a variety of interfaces from a mobile device, to a virtual reality headset, or a games console or desktop computer. 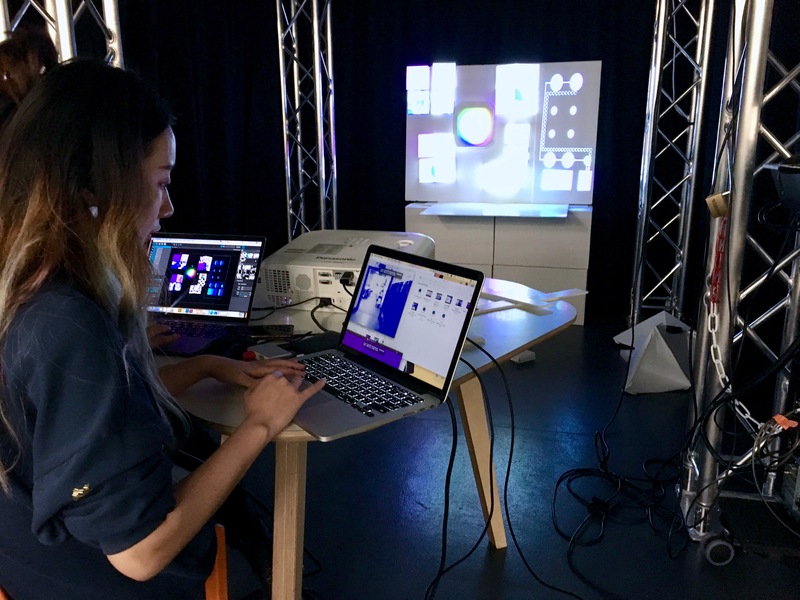 An MA Data Visualisation student experiments with Projection Mapping onto a white foam board prop she has made using a high-power projector and MadMapper in the Creative Technology Lab as part of a workshop led by associate lecturer Ian Carr. Photo by Tom Lynch. 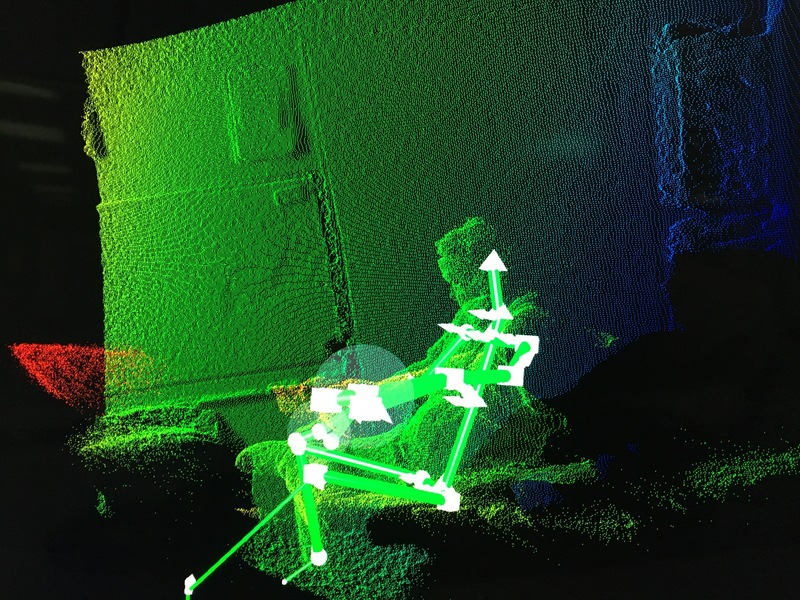 Creative Technology Lab staff experimenting with skeletal tracking using a Kinect. Photo by Tom Lynch. The Digital Space is an open-plan, creative IT hub with 80 computers set up with specialist software for specific subject areas. Discover the breadth of printing techniques available at LCC, from Lithographic Printing to Print Finishing and Bookbinding.